Adrian Gibbs Roofing are certified single ply installers specialising in the repair and maintenance of single ply roofing systems. Our highly skilled single ply roofers are factory trained by Fatra, our preferred choice manufacturer of single ply systems. By using electronic roof testing methods to pinpoint membrane leaks in single ply systems, we can effectively diagnose large roof areas quickly and efficiently. With many years experience in the repair and maintenance of single ply roofing systems including Fatra, Protan, SpectraROOF and Trocal roofing membranes we are able swiftly deal with any roofing problems effectively which makes us the preferred choice for many throughout South Wales. We use Fatrafol single ply roofing systems which is suitable for application to new roofs with concrete, metal, timber or woodwool decks. 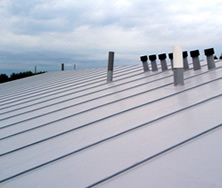 Fatrafol has a heat reflective surface which produces a slower temperature rise within the building than bitumen-based roof coverings and presents less of a barrier to water vapour transmission than built-up felt roofing. Single Ply is flexible making the formation of details easy and enabling the membrane to take up building movement. The polyester reinforcing grid acts to reduce post-installation shrinkage of the membrane, minimising the tension on fixings, laps and edge profiles. To ensure the quality of the finished roof Fatrafol is installed solely by Fatra Ltd Approved Contractors and is covered by a 15 year insurance backed warranty. 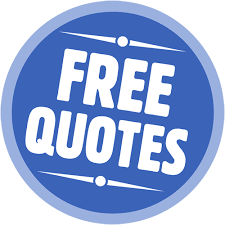 If you’re looking for quality single ply contractors give us a call or, arrange a free quote online.